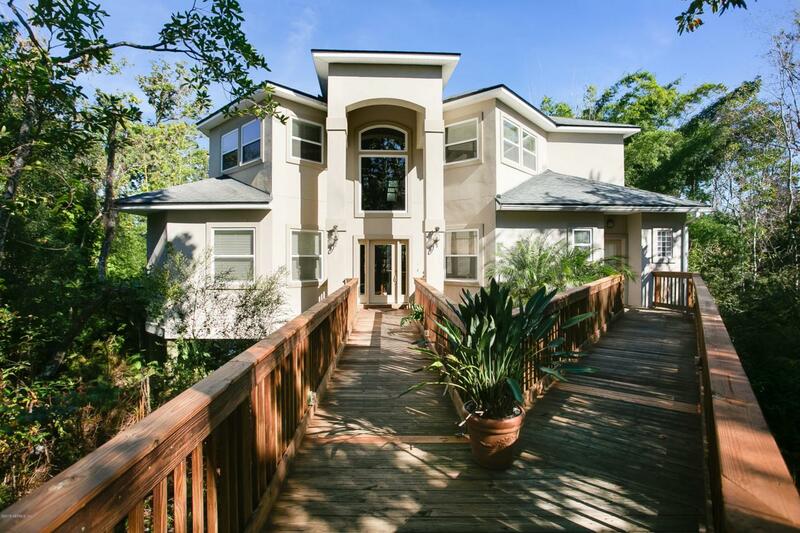 Stunning private oasis nature lot on the beautiful St. Johns river. This custom built home features an open floor plan, 4BR/4.5 baths, bamboo floors, stainless steel appliances, 42'' maple cabinets, granite countertops, kitchen island, formal living and dining room, upstairs bonus room, sun room, large deck perfect for entertainment with 5 person jacuzzi. Location convenient to 9A,airport,and 15 minutes from beaches! Please see additional feature sheet!